It’s great to see Epic continuing its support for Nintendo’s platform and we can only hope this makes games that utilise the Unreal Engine perform even better in the future. But hey, yet another update and changes to UE4. That's Dragon Quest XI delayed by another year while they adapt to changes again. Another positive step forward. NOW, I need all the games ported to Switch. Pronto. Great! Will we see older games updated or is this going to be Dragon Quest XI again but with more games? Good news. I hope this means more 3rd party devs will jump on board and we can also get some more ports of older games as well. As others said, would this mean that current games using the engine would need devs to patch titles in order to make use of the engine improvement? Hopefully this will mean games like Fortnite can be updated to run at 60fps. I'd also love to see more anti-aliasing in Switch games. Flickery jagged lines is something that's bugged me since the GameCube days and can kind of break immersion in a game. With every new Nintendo console's arrival I'm always disappointed when starting up a game to see there seems to be no improvement and jagged lines are as prevalent as ever. The difference anti-aliasing can make to how a game looks is enormous. Look at Splatoon 2's hub world, barely a jagged line in site.It looks beautiful, there is heavy anti-aliasing going on in there though but that's only because there is no action going on. In game it's a different story,flickering jaggies everywhere. Splatoon 2, like Mario Kart 8 Deluxe can get away with it though as once the action starts it's difficult to notice them. In slower moving games Mario Odyssey however, it's always noticeable and kind of holds Nintendo games from looking as good as they should. mmm... i like the meat of updates. RL has been something that i've hold off on switch. although, it's still something that i do want. You could say the update is unreal! So when will the good indies that use it come to switch like Cinderella Escape. @HobbitGamer I'm no expert, but I believe that they would need to patch games to make use of these improvements. I'm sure games like Fortnite will probably see patches sooner than later. Rocket League runs on UE3. That is all. @HobbitGamer It is technically possible, though moving a current project over to a new UE version is quite laborious. Some things improve while many things break... So it requires a lot of effort to migrate which isn't practical for most projects. @Liam_Doolan No problem. It's still Unreal Engine, just an outdated version Epic doesn't support anymore. Id like to see what they could do remaking the game in 4 though. @Bermanator Heck yea! Though none of that hoverboard malarkey. Did you guys really use a Fortnite picture and related game just because Epic also made that? 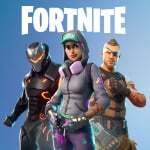 @Matthew010 Epic mentioned that Fornite for the Switch was R+D for this patch. maybe the next update for fortnite on switch will have it run at 1080p with these recent optimizations in effect. @Mrtoad The article itself mentiones nothing about it. @HobbitGamer Yes but don't expect that to happen. Once games reach a certain point in their dev cycle they no longer take on any engine updates as they're a risk to stability. This new update will impact games which aren't due to ship for 12 months or more. Now put Spyro Reignited Trilogy on the Switch. Now that Epic has their own game on the platform I can see why they would do that. Don’t care, don’t care, don’t care. Just hit the "recompile for Switch" button on your Unreal Tournament Classic code, Epic!! I second others; I need some Unreal Tournament in my life on Switch. @HobbitGamer yes it’s a project conversion and a rebuild. also depending on how old the version is they are currently using they may need/want minor code updates. @Ack @ramu-chan the update involves a project conversion, something very straightforward with unreal engine (unless the devs decided they new better and rewrote portions of the core engine). I definitely expect indy devs to move to the new version, maybe not the large studios. @SmaggTheSmug Technically the money they make on Fortnite is barely peanuts. Their main business is selling engine licenses and support services, so I'm pretty sure the engine enhancements were a priority regardless of Fortnite. 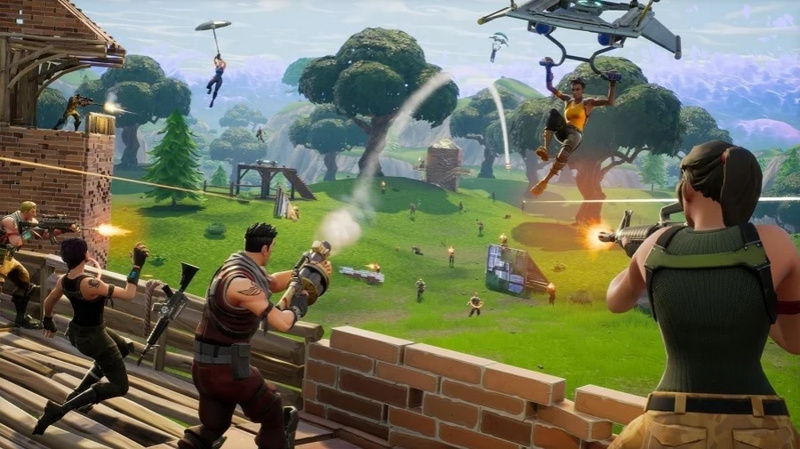 However, I do imagine Fortnite has the positive effect of speeding up the rate of improvements introduced for Switch in the engine since they now have an internal team using it and reporting areas in need of improvement which should go a lot more smoothly than external clients reporting it. Let's all hope that Nintendo's Good Feel and Bandai Namco use Unreal Engine 4.20 in developing a new Yoshi title and Metroid Prime 4 (and possibly Ridge Racer 8). @MrBlacky that would be a whole new level of Square Enix screwing up. I didn't know you can have a game get delayed after it was already released years ago. Sony must be stewing right now.....now there will be more NSW online going FortNite. They changed the thumbnail from Rocket League to Fortnite after the complaints in the comments, haha. @Alex18 YES. I didn't know Spyro ran in Unreal, though. I think the game would have inevitably came to Switch at some point without this update even if it were more compromised, but then again, I don't know much about Unreal and what goes into porting and all that. @SwitchForce why would they be stewing? Did I miss something? @Aozz101x Why don't you want it? It does Unreal 3 but the game after the patch made the game look very close to ps4 and it runs at a locked 60fps so why not? @CarsonCool I own it on PC. that doesn't necessarily mean that i won't get it on Switch or PS4, it's just not something im getting right now. 2018 is also pack of exciting games for me that getting Rocket League again inst really that important right now for a 2nd time. next year or December? sure i'll likely get it then. same goes for Bully, i've own all the version for that game. except for PS2 version. i was gonna get it this year. but now that there are far more bigger games coming out. that likely not the case right now. @Aozz101x That makes sense I have a PlayStation 4 but I just want to play games I have on ps4 on switch even docked mode for some reason but yeah it should be a good time to get the system when the bigger stuff comes out - Carson. That's cool it's being released for Switch. But I'm not willing to buy a downgraded version of a fighting game that's 59.99 across the board. I enjoy mobility, but not for fighting games.